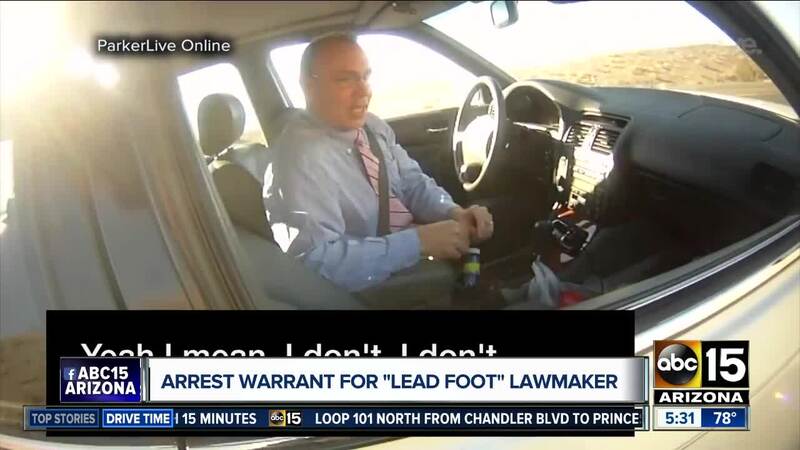 An arrest warrant has been issued for an Arizona lawmaker who attracted national headlines after a video captured him bragging about driving over 120 mph earlier this year . According to the Lake Havasu-based Today's News-Herald, the warrant was issued Sept. 6 in Parker Justice Court after State Rep. Paul Mosley failed to appear on Sept. 5. It wasn't immediately clear Wednesday what the arrest warrant involved. Mosley did not immediately respond to a telephone call and an email sent Thursday morning to his office at the Capitol seeking his version of events. Mosley told a La Paz County Sheriff's deputy who pulled him over last March that he had previously driven at speeds of 120 mph (193 kph) or higher and said he shouldn't be cited because of legislative immunity. "Our troopers were acting within state statute," DPS spokesman Bart Graves said in an email about the traffic stops after the video first came out. Graves pointed to a state law that says troopers can recognize a lawmaker's legislative immunity from arrest except in cases involving "treason, felony and breach of the peace." While the state constitution does provide for certain kinds of legislative immunity, it's generally intended for actions related to legislative acts, according to a state manual. A document from November 2002 shared by the House Rules Committee says speeding tickets - as well as violations for driving under the influence - aren't covered. The Cochise County attorney's office is reviewing the March traffic stop to avoid a conflict of interest with the La Paz County Attorney's Office. Mosley's district represents La Paz and Mohave counties. The traffic stop is also the subject of a pending complaint before the House ethics committee. The Lake Havasu City lawmaker was elected in 2016 and is running for another two-year term in November. The video cost him the endorsement of the Arizona Fraternal Order of Police. The group's president said his behavior and "utter disregard" for public safety are the opposite of what they look for in an elected official.